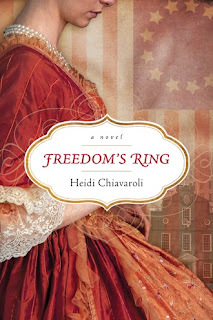 Freedom's Ring quickly has become a new favorite book of mine. Between going from both moments in history of the Boston Marathon to the Boston Massacre, I easily lost myself in the pages of this book. The time flew by and the pages were melting at my fingertips as I couldn't put the book down. The research aspect of this book is remarkable and will have you in awe of the facts. This book will have you stop to think about your own family heritage and will make you ask questions, it will also help you discover true freedom in America and even freedom in Christ, if you choose to look at it that way . I loved both Liberty and Annie. Both such different characters, yet Heidi did a fantastic job at connecting the past with the present and so forth. For a debut novel, I am certainly impressed and I think Ms. Chivaroli is an author to keep your eye on. She is a fantastic writer. I look forward to more books from her in the future. I cannot say enough good things about "Freedom's Ring." Thank you to the publisher for providing me a complimentary copy. A favorable review was not required. I give this book 5/5 stars and all opinions are my own. I highly recommend that you grab this novel before the summer is over. 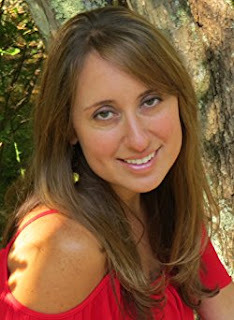 Heidi Chiavaroli is a writer, runner, and grace-clinger who could spend hours exploring Boston's Freedom Trail. She writes Women's Fiction and won the 2014 ACFW Genesis contest in the historical category. She makes her home in Massachusetts with her husband, two sons, and Howie, her standard poodle. Visit her online at heidichiavaroli.com.